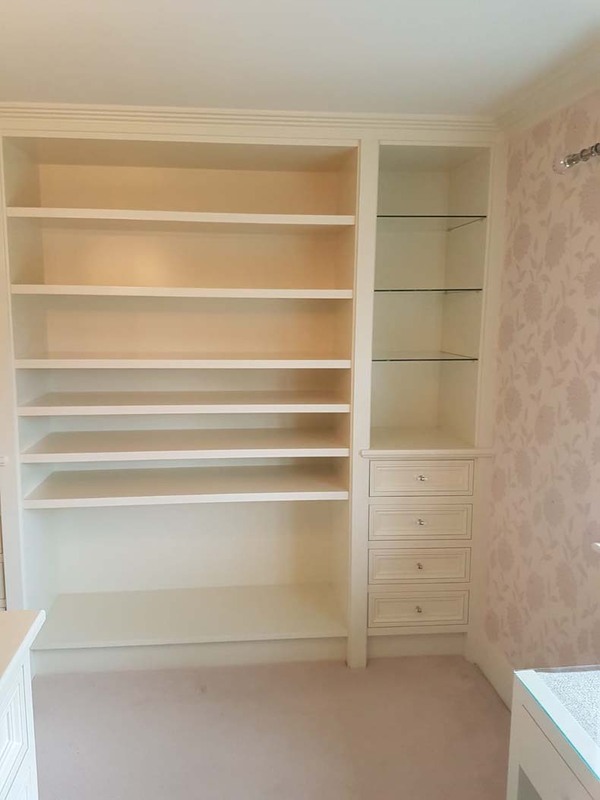 We recently had the pleasure to design and build this beautiful fitted bedroom furniture in Chislehurst. 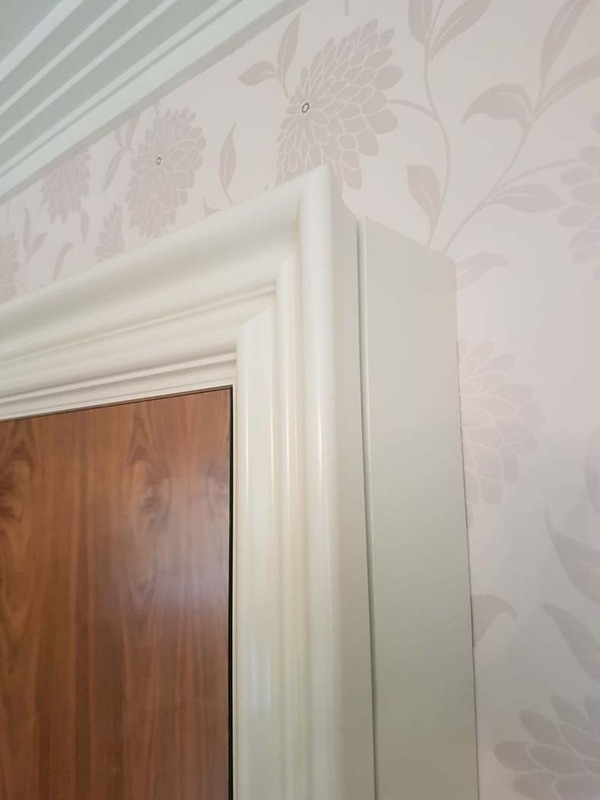 To create the carcasses of each unit the team used MDF this is due to MDF reacting incredibly well to the addition of paint. To give a high end finish each of the units features hardwood surrounds and fronts along with hardwood panel beads. 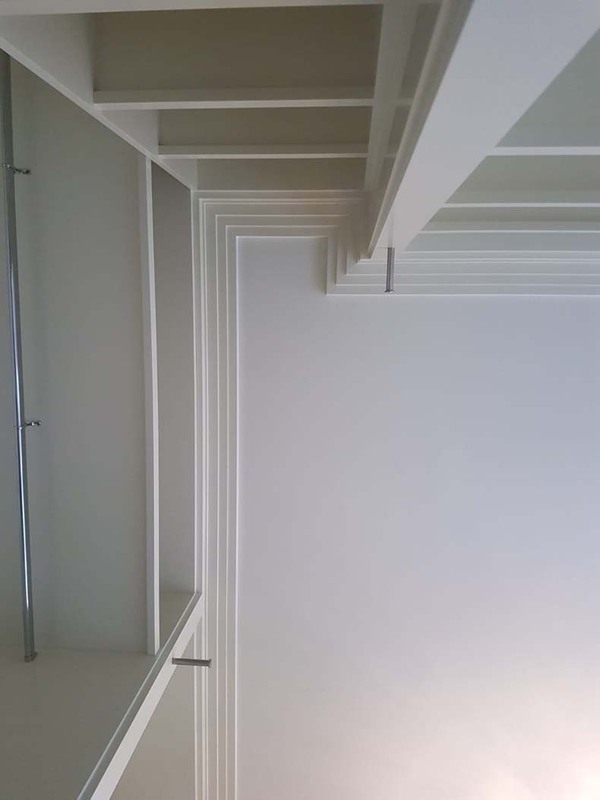 Our customer was specifically looking for a way in which to utilise every millimetre of space within the bedroom, because of this the team opted for a full floor to ceiling design for the wardrobes and shelving. 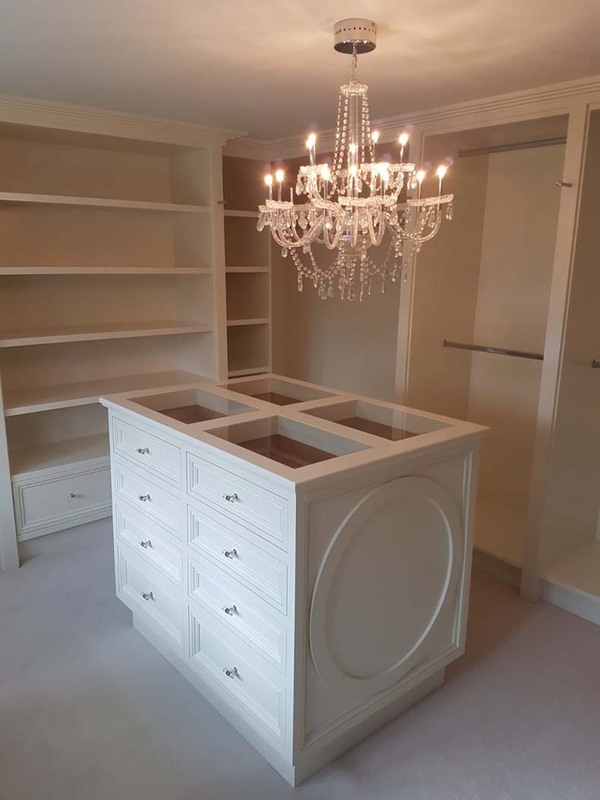 Other features that make the most of every available inch include the addition of storage behind the wall mounted mirror, we simply added hinges to the mirror and created storage compartments. 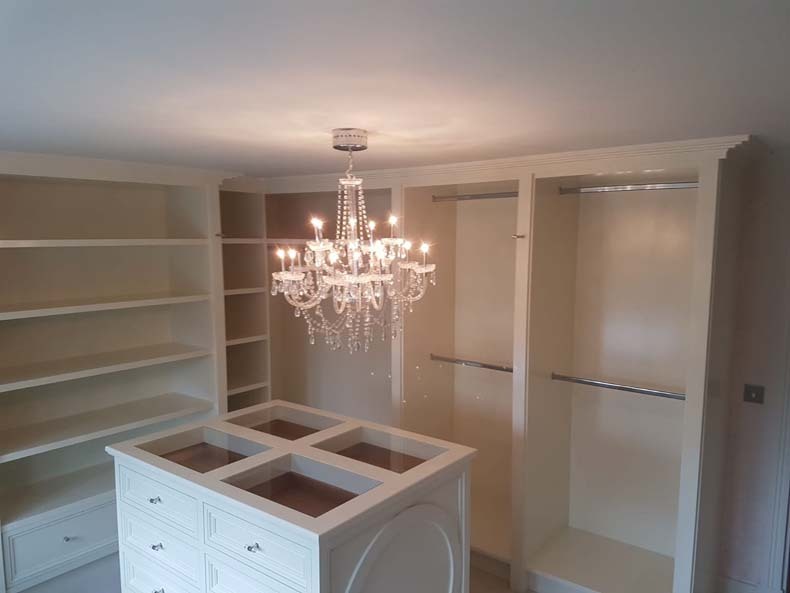 As always the team opted for the best quality fixtures and fittings the wardrobe rails are chrome finished, the runners are soft close both of these additions provide a high-end finish. The freestanding island boasts a glass top, enabling our customer to see their belongings in the drawer below easily. To finish the draws, our team intend to add velvet this will make the top draws perfect for the storage of jewellery. We finished each unit by sray painting with a Satin semi-gloss white. 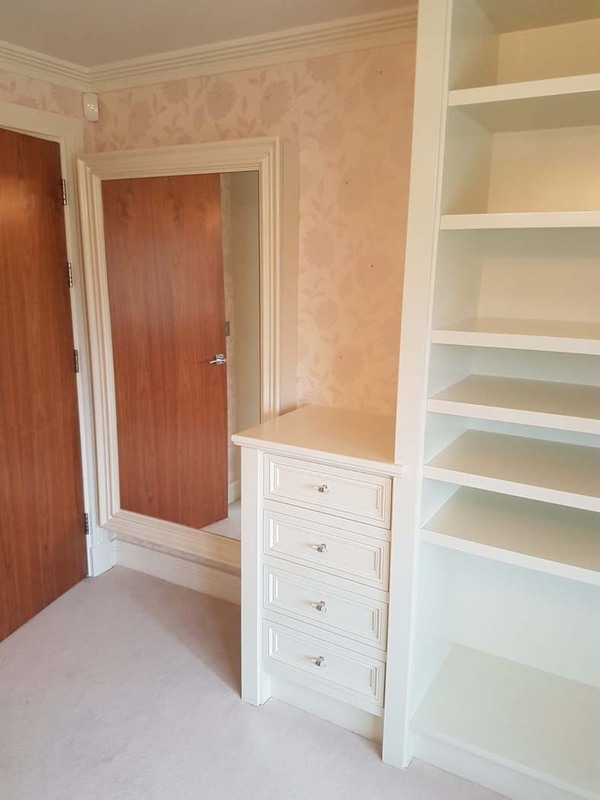 Should you be considering new bedroom furniture, feel free to get in touch it is always our intention to listen intently to our customers needs this approach allows the Spittlywood team to create unique fitted furniture which is both beautiful and functional.